Changing your hair is the first step to changing your entire look. You can cut it, dye it, style it differently, or even just take better care of it! Unfortunately, dyes, relaxors, or heat styling can take a toll on your hair. They cause split ends, breakage, and can make your hair dry and unmanageable. But if you love trying new things as much as I do, you may not be willing to give that up entirely. Luckily, a hot oil treatment might be just the thing to help save your hair! Most people have tried this at one point or another. Hot oil treatments and hair masks are all the rage currently. But maybe you got mixed results when you gave it a try. Some quick research showed me that there is more to a hot oil treatment than I thought! You can do natural DIY hot oil treatments or buy hot oil treatments from the store. Until now, I didn’t think about the fact that various oils have different benefits, disadvantages, or results. It all depends on your hair. Originally I thought that coconut oil was pretty much the go-to and left it at that. Boy, was I wrong! There are so many more options I never explored! Picking the right oil depends on your hair type, level of damage, and what you are looking to get out of hot oil treatments. So if you’re interested in trying a hot oil treatment for the first time or want to learn more to try again, I might be able to help you. If you’d like to learn how to use hot oil treatments to get gorgeous, manageable hair with a healthy shine I have a few tips for you! For once, it is exactly what it sounds like. By warming oil and putting it on your hair and scalp, you can deep condition your hair naturally. There are so many different oils to use. 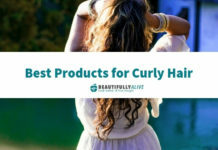 The benefits vary for each one so you will have the figure out the best fit for your hair. There are a few reasons to do a hot oil treatment. It can strengthen your hair, act as a hair growth serum, fix split ends, prevent breakage, or help condition dry hair. It is also really great for your scalp. A dry scalp can slow hair growth, cause dandruff, and be all around uncomfortable. 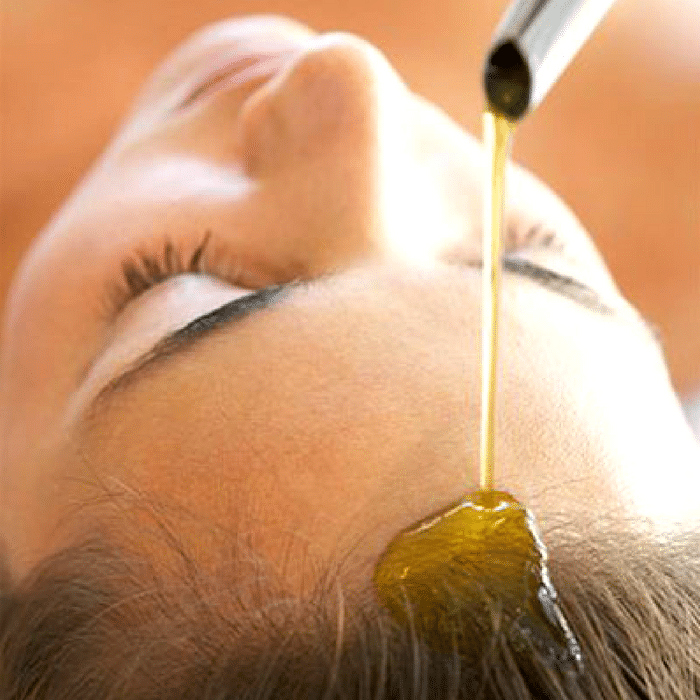 A hot oil treatment can moisturize or act as an antibacterial for your scalp. Keep in mind that regular treatments will be necessary to maintain good results. Weekly or biweekly treatments are best, depending on your hair. If you have natural hair or very dry hair, you may want to try a hot oil treatment a few times a week. It will help make your hair more manageable. 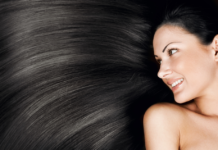 Once your hair is in better condition, you will be able to cut back to weekly treatments. Always remember that you are the best judge. 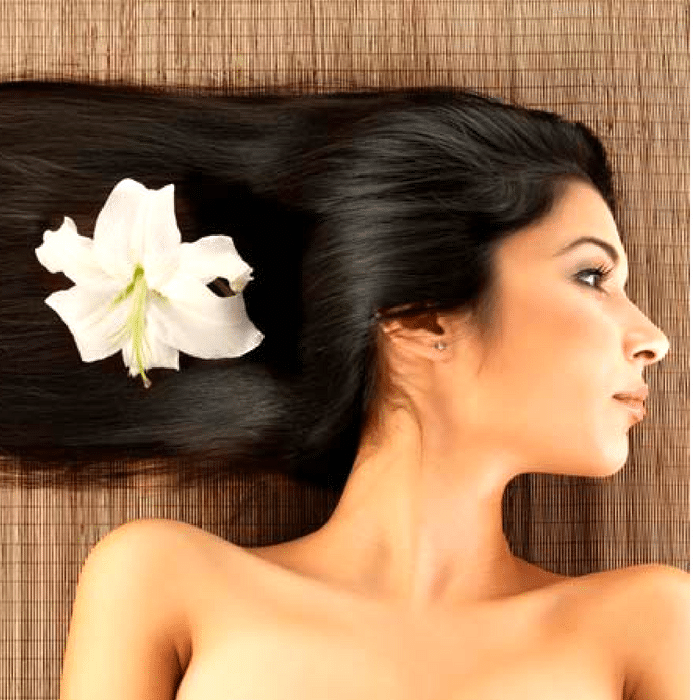 There is no way to harm your hair with hot oil treatments. Everyone has to experiment to figure out what works the best. Just make sure that the oil isn’t too hot when you apply it to your scalp. Whether you decide to buy a hot oil treatment or to use a homemade hot oil treatment is entirely up to you. Many people lean towards homemade treatments because they are so simple and straightforward. It comes down to warming up whatever oil you choose. Adding essential oils to your treatment is really the only extra option. But make sure they are appropriate for use on your scalp. Such as peppermint oil, tea tree oil, or even lavender. 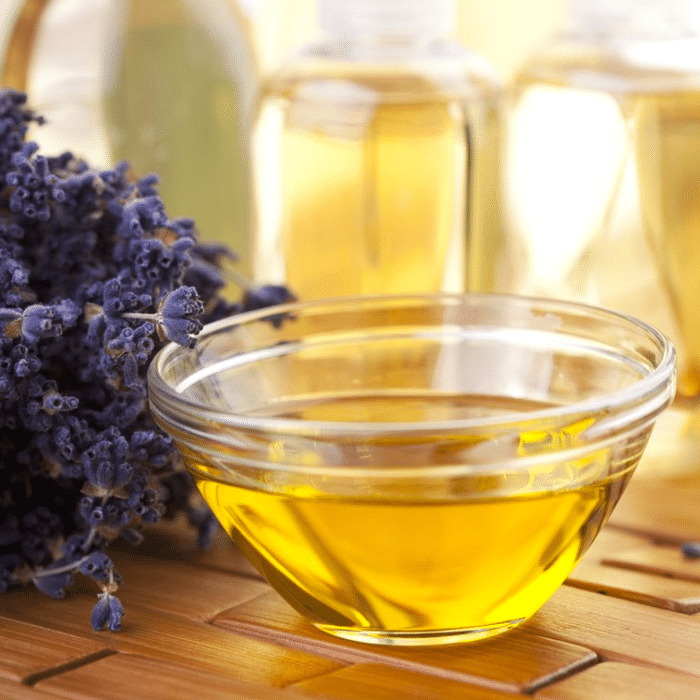 You can find a full list of essential oils for your scalp here! Now, figuring out where to get a hot oil treatment from the store is very simple as well. You can go to any drug store, Walmart, or shop online. Lush hot oil treatment is a very popular option. They are bound to smell fantastic, and they have a few different kinds that are each geared towards fixing different issues. That will take out a lot of the guesswork for you. The Vo5 hot oil treatment is another favorite brand that has been around forever, that a lot of people have tried. Vo5 gets mixed reviews because it is not exactly as natural as the alternatives. But it is quick in comparison. You only have to leave it on for one minute at the most! It is by far the fastest oil treatment for hair, but that doesn’t always mean it’s the best. Restores shine, strength and softness. Vitamin and protein rich formula. I keep mentioning that there are so many more oils you can use than I originally knew. 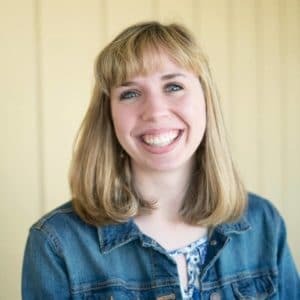 So I wanted to tell you more about individual oils and what their benefits are. Hopefully, it will be a big help when you’re trying to figure out which one to use on your hair. They can also be mixed and matched. You can also add various essential oils for extra benefits! Using coconut oil for hair treatment is at the top of my list. It will work wonders for all hair types. It isn’t heavy, is easy to wash out, and has antibacterial properties to soothe and moisturize your scalp. Great for regular treatments and dandruff. Sweet almond oil makes a fantastic hot oil treatment. It is the best for beating dandruff! It also could be added to a warm bath to moisturize your skin. Just be super careful, you’re tub will be slippy afterward, but your skin will feel amazing! Argan oil is another favorite. I’ve seen it mentioned all over the place in the shampoo aisle these days. It makes the best hot oil treatment for dry hair. It will also do wonders to help tone down any frizz you may have. A new one for me is Kalahari Melon Seed oil. I thought it was worth mentioning because it makes an excellent hot oil treatment for sensitive skin. So if you are allergic to a lot of things, or get rashes easily, this might be a good oil to consider. Macadamia Oil is the best oil for dry hair. I know already said Argan oil was, but this one is the best for dehydrated and damaged hair. Castor oil is one of the best oils for hair growth. Baobab oil is also a hair growth stimulant, but castor oil is standard and easy to find. Since it is so thick and sticky, you will want to mix it with another oil to get the proper consistency. There are quite a few recommendations to mix three tablespoons of castor oil with one tablespoon of Argan oil. 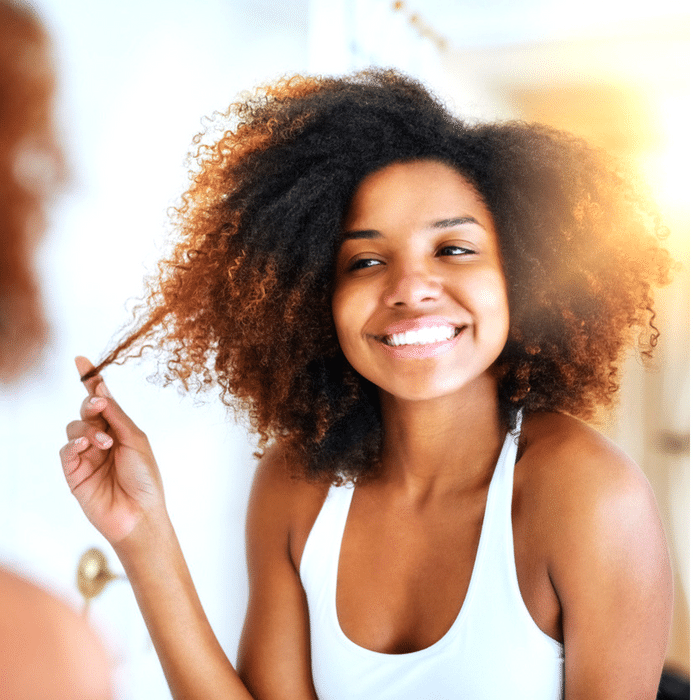 Castor oil hair treatment is rising in popularity, and people haven’t just been using it for their hair. 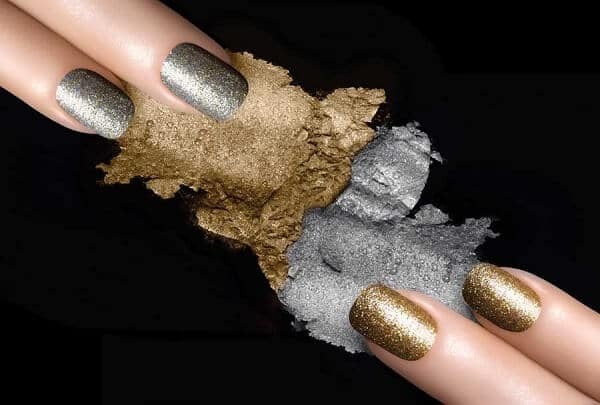 They have also been applying it to their eyebrows and eyelashes to speed growth and thickness. Many people want to know if olive oil is good for your hair. It’s fine, it has benefits and will work well to condition your hair. So there is no harm to it, but I would only use it if you don't have any other options. It’s a heavier oil so it will be harder to wash out. That may result in heavy, greasy hair, which is something I want to avoid entirely, so I never use it. The pros outweigh the cons when it comes to hot oil treatments. They are extremely beneficial for your hair and scalp. It will help keep your hair smooth, healthy, and looking fantastic. Oils help to reduce breakage by strengthening hair, promoting hair growth, minimizing damage, and deep conditioning your hair. Keeping up with regular treatments will help extend the time between your salon visits. Also contributing to treat your scalp by moisturizing and protect against dry scalp and dandruff. While I definitely recommend hot oil treatments for regular maintenance of your hair, they are not for everyone. There is a handful of cons to a hot oil treatment that you might want to take into consideration. First, you will have to repeat these treatments regularly. They are temporary. It can also be a time-consuming process depending on which treatment you use. 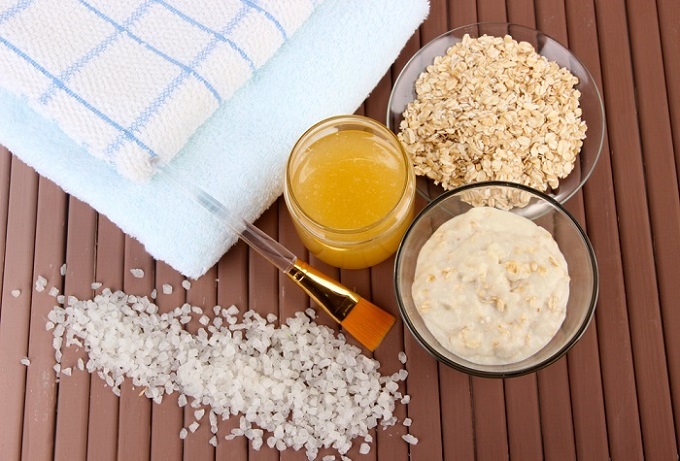 Homemade oil treatments are cheaper, but you need to leave them on for at least 30 minutes. You can also leave them on overnight if you wrap your hair or wear a shower cap to bed. 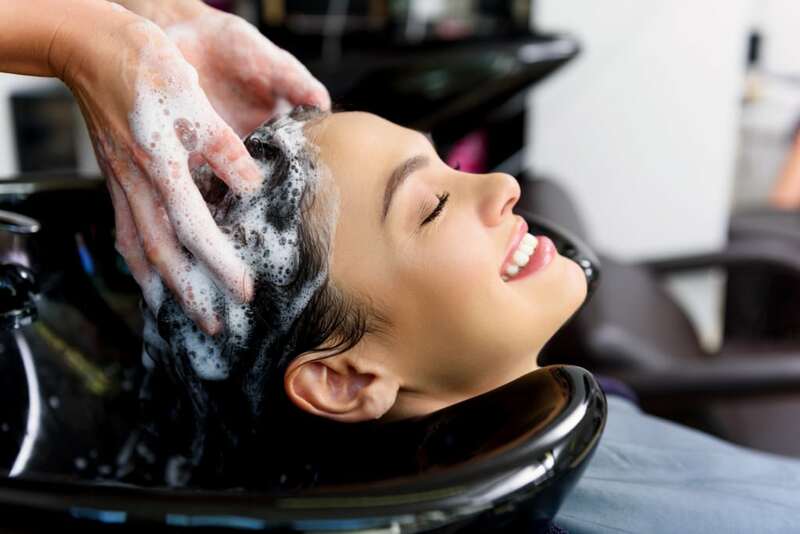 If you choose to use Vo5 or another store-bought hot oil treatment it will be much quicker. But it will not be as natural. Keep in mind that some natural oils will go rancid over time. I would recommend doing your research if you are unfamiliar with the oil. You can also keep it in the refrigerator to lengthen the shelf life. The last con I want to mention is probably the one you may want to pay the most attention to. That is the fact that hot oil treatments can strip your hair color. So if you recently dyed your hair a particular color, it might strip out most of the color. It applies mostly to unnatural colors more than any others. So reds or auburn, burgundy, possibly strawberry blonde. But especially unnatural colors like blue, purple, pink, etc. Hot oil treatments are perfect for anyone with dry or damaged hair. Ladies with natural hair use hair oils and hot oil treatments regularly for the health of their hair. I would recommend it if you have hair that has been damaged by hair dye, bleach, relaxers or even regular heat styling. If your hair is really out of control and you have tried everything to fix it, you could also consider hair botox treatments. Hair Botox is more expensive, but it works wonders. But if you have healthy hair and want to maintain it, you could also consider trying some hair masks. There are a ton of great options! But hot oil treatments and hair masks are both incredibly helpful. I would personally recommend hot oil treatments because they are so cost effective!